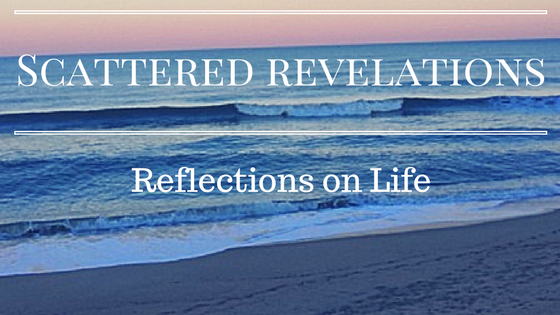 This is a sermon I preached at the UU Congregation of the Outer Banks on Sunday April 6, 2014. The text was an adaptation of Stone Soup - which I used shells instead of stones given our location here on the Outer Banks. We also used "I Call That Church Free," reading #591 in Singing the Living Tradition by James Luther Adams. During March, I led a two-session orientation to Unitarian Universalism. It was an opportunity for people, both those who have been around for quite some time and those who have come along more recently, to learn more about Unitarian Universalism, its history and what it means to be a member. At the very heart of our faith is covenant. Here at the Unitarian Universalist Congregation of the Outer Banks, we bind ourselves to the covenant that was created and voted on by the members of this community. Each time someone walks through those doors, we invite them into covenant and we have expectations that those who enter here respect our covenant – even before they formally sign the book. To be invited into covenant means that each individual makes a commitment to live in covenant with one another. It does not mean we will all do it perfectly all the time. It means we will fail, we will have to say we are sorry, we will need to forgive. To live in covenantal religious community is to live up to high expectations and promises. It is here that James Luther Adams believed that people learned to resist injustice, to speak out against what is wrong. Our reading this morning is from James Luther Adams. Adams was a Unitarian Universalist minister and professor. He taught ethics at Harvard, Andover Newton and Meadville Lombard. Adams had spent time in Germany during Hitler’s rule. He worked with the Underground Church in Germany. Adams wanted a liberal religion that could stand up to the horror of fascism and the Holocaust. He called upon Unitarian Universalists to recognize both the blessing that human beings can be in the world and the evil that we can do. He felt that it was within voluntary communities, like this one, where we could learn to speak out against injustice in the larger world. That our faith communities would be places that promoted healing of one another and spoke out against injustice; it is here that we learn to be both priests – those who bring healing to a hurting world, and prophets – those who speak the truth to power in love. Covenant is not unique to Unitarian Universalists. The idea of covenant goes back to the Hebrew Scriptures. God called the Israelite people into covenant. He promised to be faithful to them, he promised to always be there and the people in return were called to be faithful to God and to treat one another justly. The whole of the law of the Jewish people can be summed up as to love God and love each other as you love yourself. The Golden Rule! The people of Israel often broke the covenant – sometimes by worshipping other Gods, most often by treating others poorly; for God judged the people by how they treated the most vulnerable among them – the poor, the stranger, the widow, the orphan. God remains faithful even as the people do not. Yet again and again the people are called back into covenant, the covenant is renewed and there is the opportunity to begin again. Unitarian Universalist covenant began with the Puritans as they stepped onto the shores of this new country. They pledged each other their mutual support and mutual accountability. Our seven principles and six sources are the covenant that each Unitarian Universalist congregation makes with every other UU congregation. They are a promise of how we will be together as a movement, as a faith. They are not static and in fact we pledge to review this covenant every fifteen years to remind us that revelation – knowledge – is always on-going, always open. A key tenant of our liberal religious faith is that revelation is never sealed – that truth, beauty, the holy are always revealing something new. Another way to say it is that creation is not a one-time event, but an on-going event. The UUCOB covenant echoes that of the UUA covenant. We affirm freedom, love and reason in religion. We promise to come together knowing we are stronger together than apart. We come together to learn, to be inspired and to face the deep needs in our community and world. We affirm that we can achieve our goals even if we do not agree on all that we believe. We can be a community of diverse beliefs – theist, humanist, follower of Jesus, a Buddhist, pagan – a wide range of beliefs and spiritual practices yet we come together in this free liberal religious home to learn from one another, to help one another, to inspire one another and to transform the world. We welcome all people especially those that have been marginalized. We strive to be a place that practices radical hospitality. We dedicate our time, our gifts and our financial means to the support of this community. James Luther Adams taught that the Unitarian Universalists were an optimistic, hopeful people because we affirm that the resources – both human and divine - are available for the achievement of meaningful change. The resources are available and we have reason to hope. Just like in our story this morning, there is reason to hope. There is reason to trust in the abundance present here in this community! Just like in our story we do not rely on one person to feed the many, we all come together to make sure all are fed. All ate like kings, because they pooled their resources. You as a congregation know this – you affirm it in your covenant –your collective effort is greater than what you can on your own. There is deep abundance here. From the leaders who step up to serve on the Board. To the Program Committee and lay leaders who plan and create worship each and every Sunday. To your pastoral care team, that cares so deeply about the physical, emotional and spiritual needs of the people in this community. To your buildings and grounds volunteers who make sure the grass is mowed, the light bulbs are replaced, the plants are tended and the building is clean. To your membership stewards and sextons who welcome people at the door, invite our visitors to come back, set up and clean up the coffee each Sunday. To our Treasurer who makes sure the offering is collected, the money deposited and keeps the books. To those who make possible events like the Chocolate Auction, game night and the concerts. To those who take action for the most vulnerable in our community – bringing food for the food pantry, giving of their time to local organizations, to sharing our plate each week with a local organization so they can keep meeting the deep needs in this community. In a few moments we will welcome any new members who wish to join. Also all of us – members, friends and visitors will say the words of the UUCOB covenant. Members and friends will re-commit themselves to the well-being of this faith community. This month we kick off our annual pledge campaign. The pledge campaign is where all members and friends are asked to pledge, to promise, a certain amount of money to be given to this faith community. It is through the generosity of this community that the budget is met. It is the member and friends that make the work of this community happen and continue. We are the ones we are waiting for – there is no one else. So I invite you to remember the story of Shell Soup. That through the generosity of everyone a feast was created. I invite you to remember our covenant and to pledge yourself to live into more deeply. I invite you to give generously; to believe in your own abundance and of the other members of this community. As you re-commit yourself to this community through your words, your time and your resources; I ask you to reflect on what this community has meant in your life and to imagine all those gifts being shared even more broadly because of the commitments that each of us makes during this pledge season. Your pledge is an act of faith, of faith in this community; your trust and love of this community, it is an act that affirms that truly we are more effective together than apart. So today we celebrate being people of covenant, people of promise. We celebrate our abundance and our willingness to share! We celebrate being both healers and truth speakers! We celebrate gathering together in this community for the well-being of each of us and for a world that so needs our healing and help!